Catholics who want to help rebuild the Cathedral of Notre Dame in Paris may soon have the opportunity. Archbishop Charles Chaput has asked that all parishes in the Archdiocese of Philadelphia consider taking up a voluntary collection on the weekend of their choosing, perhaps as early as Easter Sunday, April 21, to assist with the repair efforts. 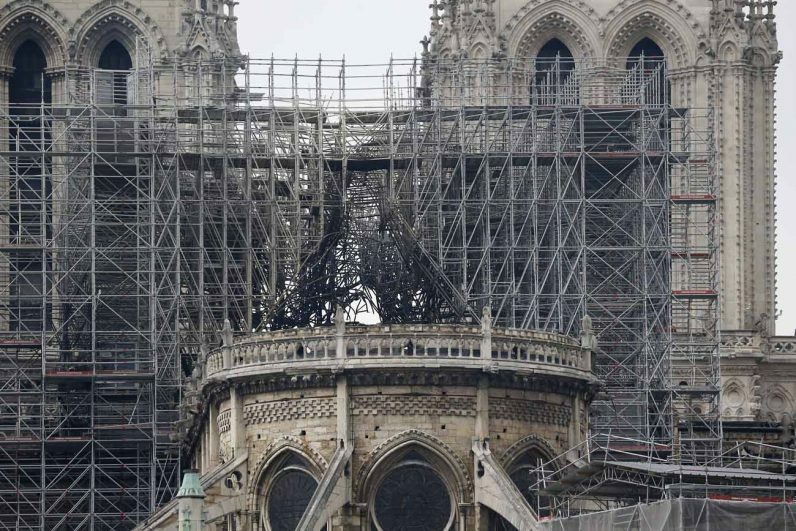 The 850-year old church was heavily damaged by a fire that broke out April 15 and left most of the roof burned away and the central spire destroyed. But the church’s ornate front, its soaring bell towers and all its masonry framework including the three precious rose windows remained intact. All contributed funds from the collection will be sent directly to the Archdiocese of Paris. While the building itself belongs to the French government, the day-to-day upkeep is the responsibility of the Paris Archdiocese. The money collected will help the archdiocese replace fixtures, furniture, vestments, linens and sacred vessels, as well as many other needs, according to information released April 16 by the Philadelphia Archdiocese. “Throughout the day, I’ve monitored news reports regarding the fire overwhelming the Cathedral of Notre-Dame de Paris with deep sadness and shock, said Archbishop Chaput on Monday afternoon, April 15. In his most recent column on CatholicPhilly.com, the archbishop presented the thoughts of French columnist M. Jean Duchesne, who cofounded the French edition of the Communio international theological journal and served as special assistant to the late Cardinal Jean-Marie Lustiger of Paris for more than 25 years. Read the column here.